I’ve been missing Peru a lot these days. The landscape, the culture and the number one reason for me-the food! The food in Peru is one of my favorite in the world. Although places like Cusco and Arequipa boast some fine restaurants and eats, Lima is, hands down, the number one place in Peru to get the most amazing food in the country. Peruvian food is special. Not to say that Chilean or Argentinean food isn’t but there is something about Peruvian cuisine that puts it into the high ranks of some of the world’s best foods. Peru can hold her place up there with the best of them-French, Italian, Asian, Mexican-Peruvian is another world-class delight. There are several reasons why Peruvian food is a cut above the other countries found on the continent. 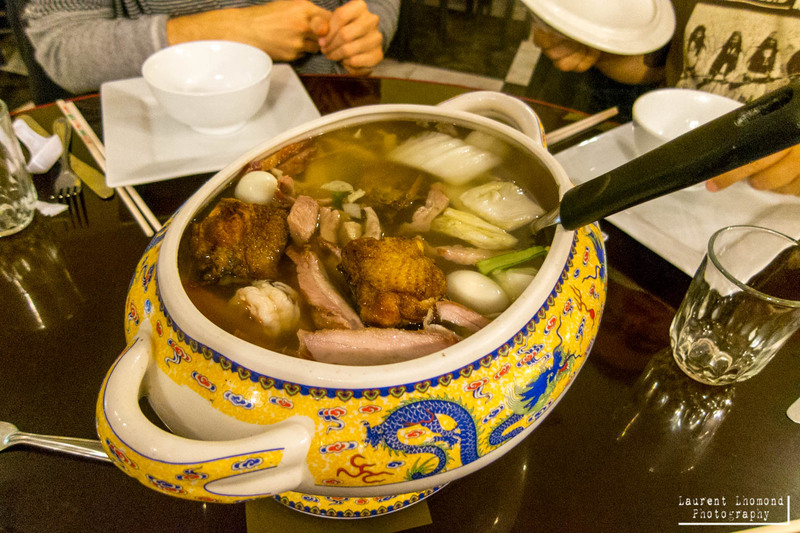 First, there is the richness of diverse ingredients found in the country. From the Amazon Rainforest to the top of the Andes to the bounty of fresh and varied seafood (thanks in part to that Humboldt Current sweeping the coast) Peru has an abundance of fresh ingredients at its fingertips. Corn, peppers or tropical fruits-some you never have heard of, various shellfish and fish and literally hundreds of different potatoes are just the start. 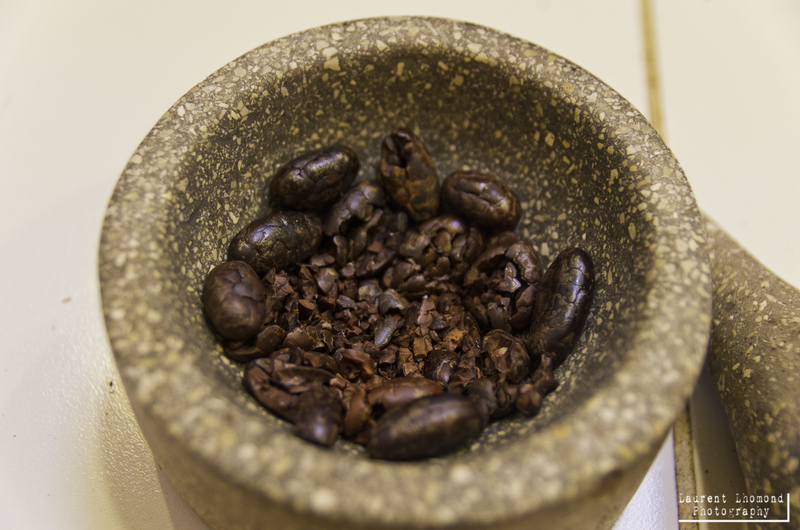 Cacao and coffee beans are other cherished products. 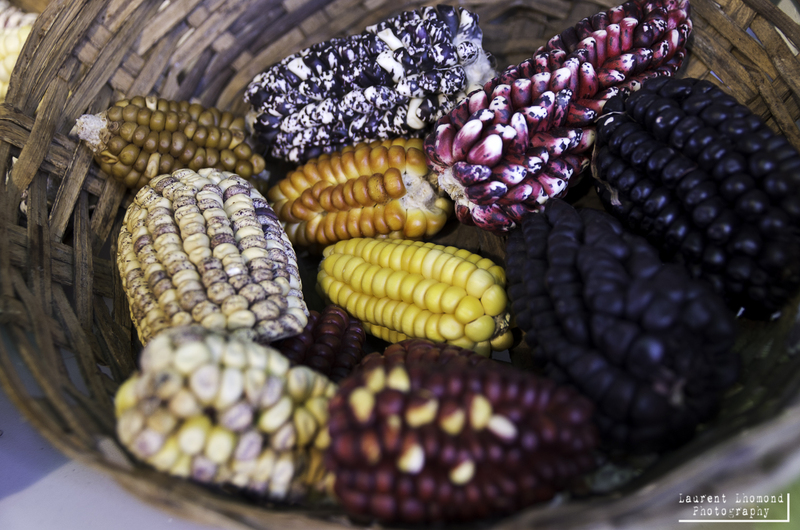 Other countries like Ecuador, Bolivia and Colombia also have these same diverse ingredients so this isn’t what make Peruvian food so unique, although its biodiversity plays a big part. What makes this food stand out and which has also helped propel Peruvian cuisine to become a leader in gastronomy is the creativity found in the native dishes and the long standing traditions behind the food. These two reasons are also what has helped put Mexican cuisine on the map. Good, creative Peruvian food starts at the ground up. High quality and passion is prevalent from grandma’s kitchen to street markets and stalls to four star gourmet dining. In Peru, good food knows no income. Whether you are very rich or very poor, you are eating good. This exists in every country with an established good cuisine. In the United States, poor people eat crap, processed foods because they are cheap. In France, poor people are still eating quality foods. Without having this level of quality present through all levels, permeating the entire culture, the gastronomy will fail to rise. The entire country needs to be passionate about the food they grow, sell, eat in order for the food to be a success (and delicious!). Peru takes the influences it has-namely Spanish, Italian, African and Asian and fuses them into something they can call their own. They don’t try to ‘do’ other cuisines. One of the reasons why I feel Colombian cooking isn’t at this level is because they seem to be trying to copy other styles. For example, there are many great Italian or French restaurants in Bogotá but few do creative, delicious Colombian fare. Peruvian food doesn’t try to be anyone else other than Peruvian. And this is the underlying reason for its success. 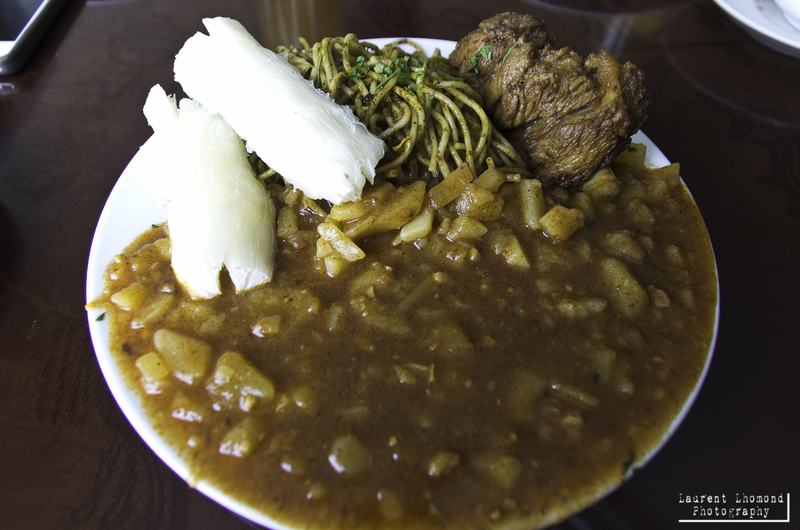 In addition to the widely popular ceviche, Peru is well known for a host of other dishes which include antichuchos, pulpo a la parilla, causas, Nikkei foods like tiradito and sushi (fusion of Japanese and Peruvian), traditional Peruvian foods like lomo saltado or aji de gallina, foods from Arequipa including rocoto relleno and chupe, foods celebrating the African influence like carapulcra and sopa seca, things cooked in the ground like pachamanca, dishes that celebrate the potato like ocopa and papa la huancaina, foods that make wonderful use of leftovers and represent the criolla cooking like tacu tacu. This barely scratches the surface as we can’t forget the foods from the Amazon like empanadas made from yuca and hearts of palm salad, the Chinese influence found in all the chifas all around Peru, traditional foods from the Andes like guinea pig (cuy) or alpaca, not to mention the humble sandwiches like the butifarra (pork with salsa criolla) or the melt in your mouth triple (avocado, egg salad and tomato). And we haven’t even talked about the unique drinks which range from syrupy sweet like Inca Cola and Chicha Morada to strong like the pisco sour or chilcano which are made with Peru’s star beverage, pisco. I could keep on going but I’ll stop here as my stomach is growling just typing all this goodness! If you are coming to Peru, I recommend you try all of these dishes and drinks! If you want to learn more, I wrote about some of these foods here. Food is celebrated all over the country with great fervor and perhaps one of the largest culminations of those celebrations is the 10 day long Mistura food festival held annually in September. This festival has garnered the attention of the international culinary world and thousands of people attend every year, with both the festival and the number continually growing. 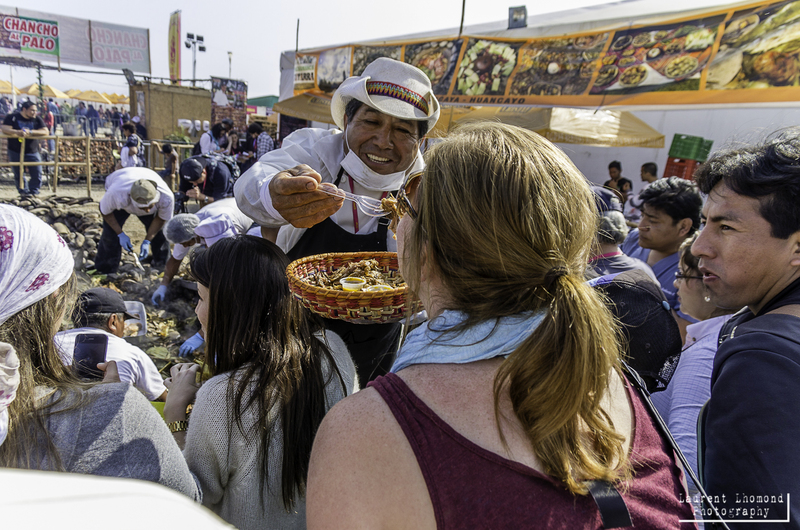 This festival has helped propel Peru further into the food spotlight and confirm it as a gastronomy giant. For both Laurent and I, Lima is a food destination. It’s a nice enough city with its pretty coast and an attractive historic center but come on, the real draw here is the food. It’s so difficult to get authentic and delicious Peruvian food outside of the country. That’s why you just have to make Lima your next food destination! Have you tried a Peruvian restaurant in your city and were left feeling disappointed? Then you’ve got to come to Lima! The restaurants range from high end to market stalls and everything in between. I’ve written about what foods are unmissable in Lima here but this time I am recommending to you our five favorite restaurants in the city. These places are more on the pricey side but let me tell you, it’s worth every penny. Not to mention, the menu prices are a steal when you consider the caliber of food and what you’d pay in Europe or North America for the same standard of food. This is not to say that you can’t eat good on a budget in Lima (you can do very well at the markets alone!). I’ll be writing a Top 5 Budget Restaurants in Lima too. But for now, here are our favorites. This restaurant has garnered some big attention lately. In 2013, it entered the Top 50 Best Restaurants in the World list at number 50. This year, it’s number 4! That’s a huge jump for a restaurant that has been open less than 10 years! Chef Virgilio Martinez and his wife, Pia Leon stand at the forefront of this formidable team. The food is truly exquisite. 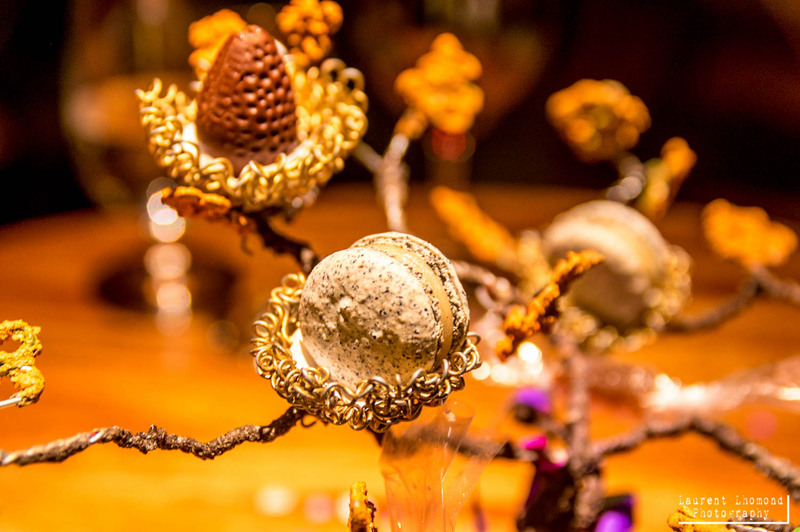 Martinez seeks to integrate indigenous Peruvian ingredients into edible works of art. 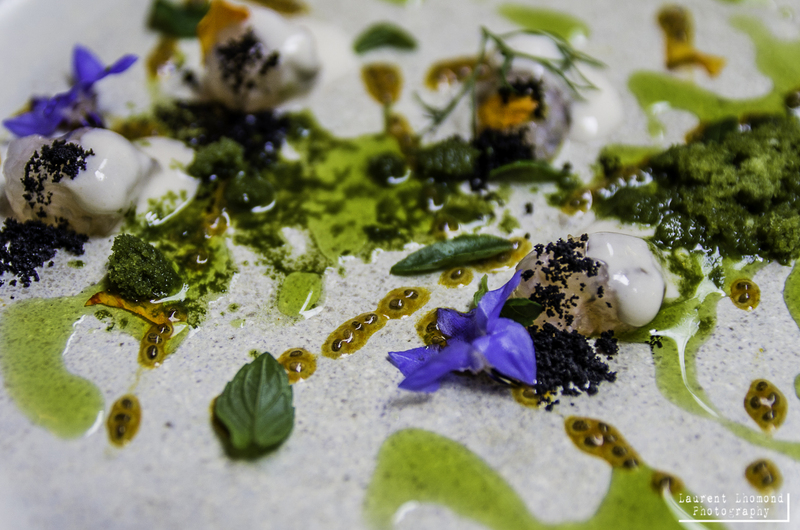 His initiative, called Mater Iniciativia remains at the core of his cooking philosophy and to that of Central (Martinez has also since opened 2 restaurants in London (Lima and Lima Floral). 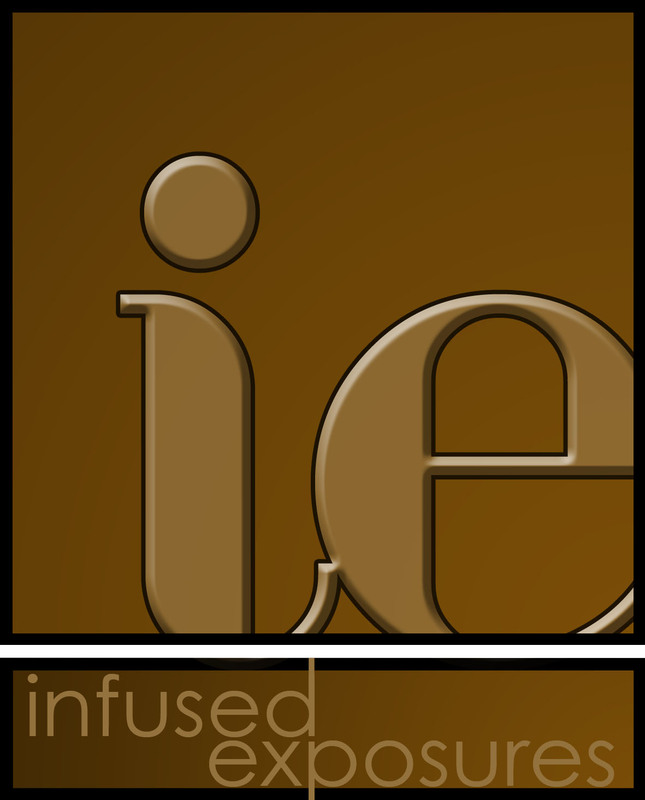 There is also a more casual restaurant coming soon to Lima, Peru. If you are looking to taste inventive Peruvian food that explores all the country has to offer, definitely give Central a try and by all means, spring for the totally-worth-it tasting menu. 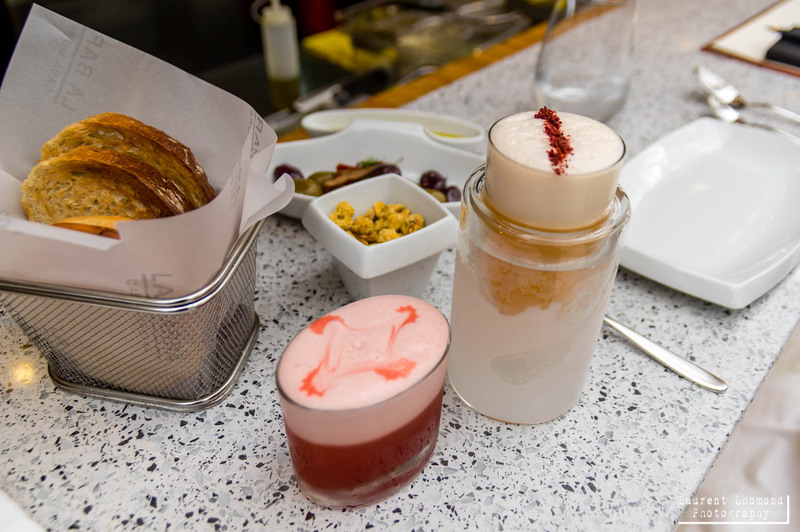 Originally started by star chef Gaston Acurio (known as the ambassador of Peruvian food) and his wife, pastry chef Astrid Gutsche, the restaurant has evolved into what is now known as Casa Moreyra located in Lima’s hot Miraflores neighborhood. Chef Diego Muñoz has taken over the helm and put his conceptual, creative spin on food crafted with care and attention to detail. 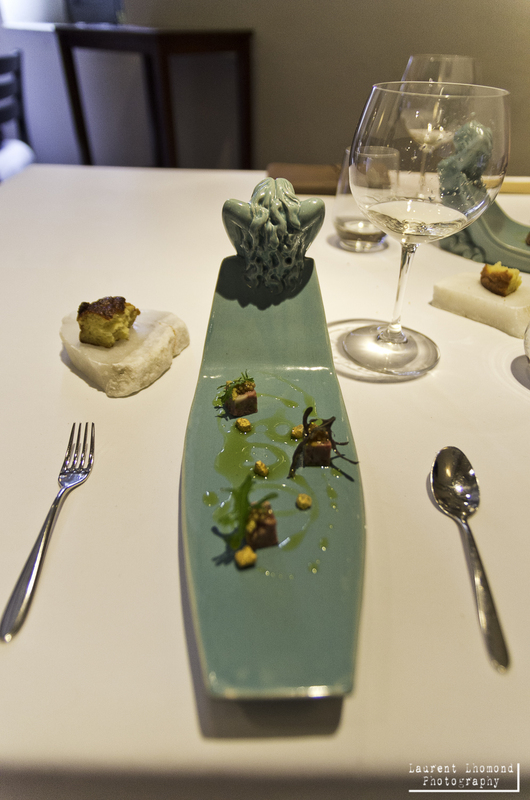 Like Virgilio Martinez, Chef Muñoz works closely with his purveyors, sourcing ingredients from native Peru. If don’t want to splurge on the food here, don’t miss a chance to at least check out the space and enjoy some more moderately priced fare in the adjoining casual area called ‘La Barra’. If you can afford the splurge, go all out for the 28 course tasting menu. Worth every penny. If anyone has heard of IK, most likely you learned of the sad story attached to this restaurant. Original owner, chef Ivan Kisic, was all set to open his dream space until his life was cut tragically short due to a car accident. His twin brother, Franco decided to keep Ivan’s dream alive by returning to his native Peru from Spain and opening IK. The space inside IK, which resembles being inside a crated fruit box, is as creative and delightful as the food. Monica Kisic, their cousin, heads the kitchen putting out consistently solid dishes that are sure to satisfy both your mouth and your eye. There is no better restaurant that represents Nikkei (the fusion between Japanese and Peruvian) than Maido. Chef Mitsuharu Tsumuru trained in Japan, to hone his skills in creating one of the best fusion cuisines I have ever tasted. Initially I was horrified when I first saw Nikkei food. 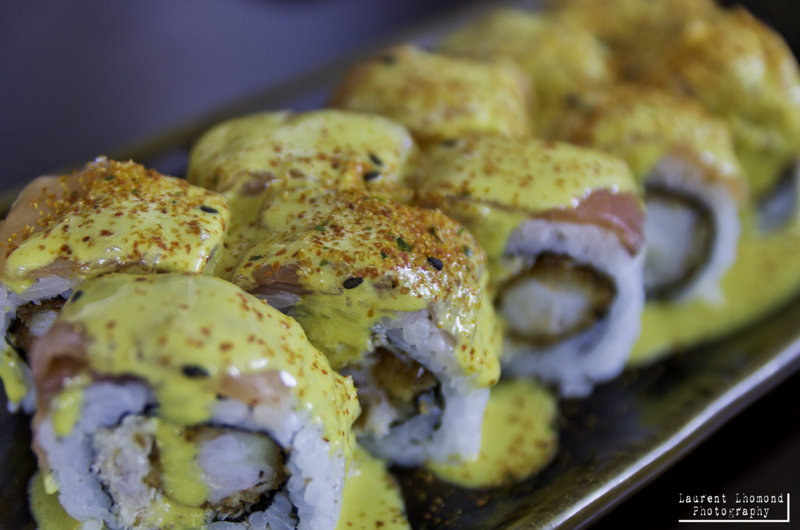 Sushi was covered in a yellow pepper sauce and I almost fell on the floor. Normally I am a sushi purist-I dislike the spicy tuna rolls or anything else with mayo in it. Imagine my horror when I first laid my eyes on this odd fusion of Peruvian peppers combined with Japanese food! But oh how I was happily wrong. You must taste Nikkei and there is no other place to go other than Maido. I love this restaurant. It’s the most moderately priced one on this list but that doesn’t make it any less stellar. 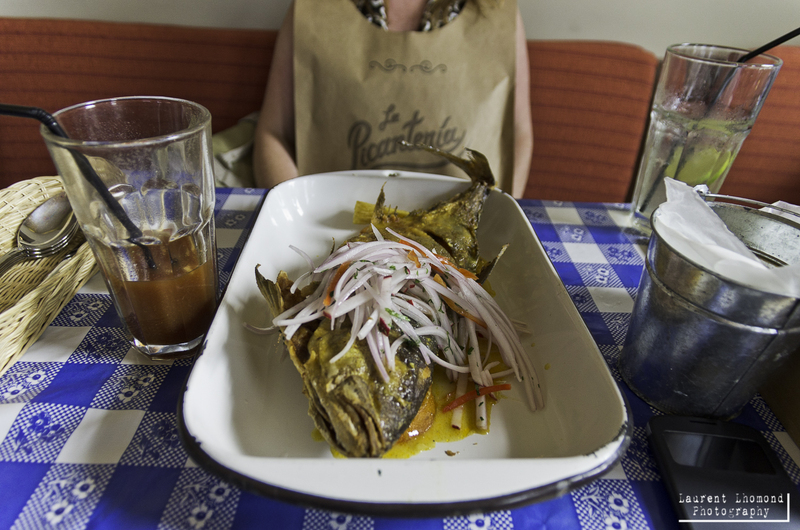 La Picanteria brings to mind Peru’s traditional eateries called picanterias. Typically these are crowded places filled with checked tablecloths, communal tables and different dishes for each day of the week. La Picanteria evokes this sense but has been interpreted for modern times. The chilcanos and other drinks here are refreshing and well prepared but the real star here is the fresh seafood. Order the catch of the day and you can get it prepared how you want. Criollo, jalea or ceviche are the way to go! Great atmosphere and wonderful food. So what are you waiting for? Add Lima to your travel itinerary and get a literal taste of what the country has to offer!